It’s time we had another talk about relationships between journalists and things they cover. 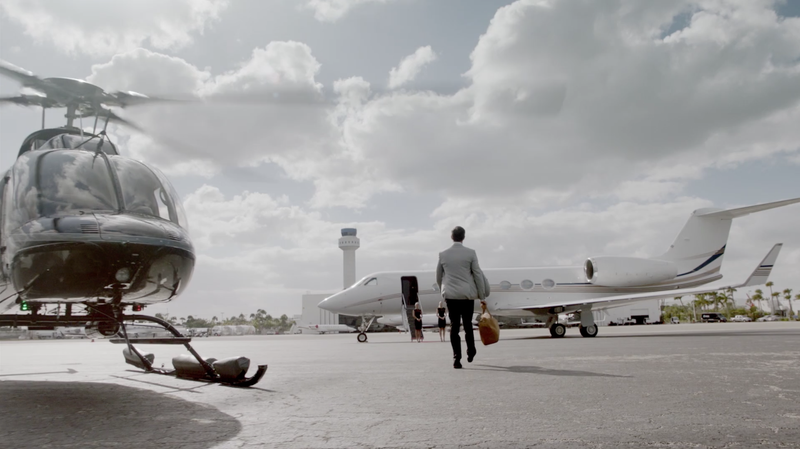 Tech website The Verge recently reported on a troubling offer from a startup, JetSmarter, to “demonstrate” its services with a free flight. To accept, a reporter had to agree to publish a positive story, quickly, or be charged $2,000 by JetSmarter. To their credit, The Verge did not accept the offer, and instead wrote a story about the extortion racket posing as a press junket. The Verge says this startup has been called an “Uber for private jets,” which isn’t the best compliment at this point. JetSmarter’s business model on its website is a vague, confusing explanation of how things work accompanied by some pretty pictures, but The Verge reports that the company essentially charges $10,000 annually for “free” one-way flights on certain routes, flight deals, and private and pooled charter flights. In order to show The Verge its services through more than just the pretty photos, JetSmarter reached out with an offer to take a reporter on a free round-trip U.S. flight. But an incredibly binding agreement came along with that offer, which demanded what The Verge called “an uncritical puff piece” about the company. But it gets worse! Accepting meant the reporter agreed to give his or her credit card number to the folks at JetSmarter, and agreed to a charge of $2,000 if a positive story about the company did not publish within five business days. The reporter would also have to pay if he or she didn’t show up to the trip, according to the agreement. I could spend another 5,000 words getting on my high horse about how this isn’t how journalism is supposed to work, or how it’s turning reporters into paid PR people, or how it’s a pretty blatant example of graft as a media strategy, but I won’t, because anyone with eyes or a brain can realize how badly this stinks. At this point, you may be thinking, “Well, you auto journalists go on trips and drive cool cars.” Yes, some of us do, and they are so incredibly icky. That’s why Jalopnik at least fully discloses everything. They’re also often a necessary evil to give our readers what they want—stories about cars, which can get expensive with constant travel and lodging—and nobody is getting paid cash money directly by these companies in exchange for mandated positive stories. Those can be bad, but anyone can agree there are different levels of bad, and this ranks as very, very bad. JetSmarter has set what could be a scary precedent. Imagine some outlet did agree to a story on the startup, and then you read it, decide it’s just the cat’s meow and then opt to spend your money on it. But unless that outlet discloses it was a paid, positive puff piece—and why would they, if this company has their card number?—you, dear reader, may not know if it’s actually a trash fire or not. JetSmarter’s PR strategy certainly is, though. The Verge managed to find an Observer sponsored post on JetSmarter from 2016, which demonstrates what the company probably imagines to get in the non-sponsored area of websites when a journalist agrees to this kind of trip. As for the “non-sponsored” JetSmarter posts, we’ll let you plug the company’s name into Google and click the news tab. You can be the judge. And at the same time, you can probably figure out which writers to trust.